a condition of pain and inflammation in a joint which leads to restricted joint movements. It is perceived to be disease of the old, but can affect people of all ages. There are two types of arthritis – osteoarthritis and rheumatoid arthritis. The symptoms of arthritis are joint pain, stiffness and tenderness. Among other arthritis symptoms are weakness, muscle wasting and red skin over the affected joint. As of now, there is no arthritis cure. So, the treatment of arthritis focuses on slowing down the condition. Painkillers and anti-inflammatory drugs are advised for easing the complication of arthritis. most oftenly patients keep on trying switching from one medicine to another in hope of complete cure,but as arthritis is chronic disease,remission are inevitable. but radio frequency ablation now a best non surgical option to avoid untimely,unwanted knee replacement surgery in people,who are not medically fit,or unaffordable. What is Genicular RF Neurotomy? Genicular Neurotomy is a advance new, innovative option for treating any kind of knee pain without open surgery. that avoid replacement surgery in most of knee pain cases for limited duration,This highly advanced procedure is on the absolute cutting edge of medicine. 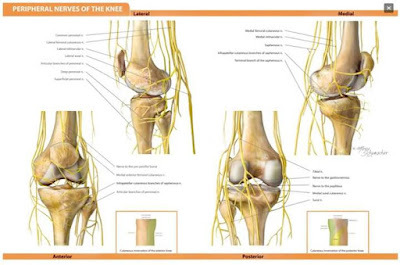 By selectively applying a sophisticated type of radio frequency wave to the nerves surrounding the knee (the genicular nerves),because most of knee joint structure supply by genicular nerves. 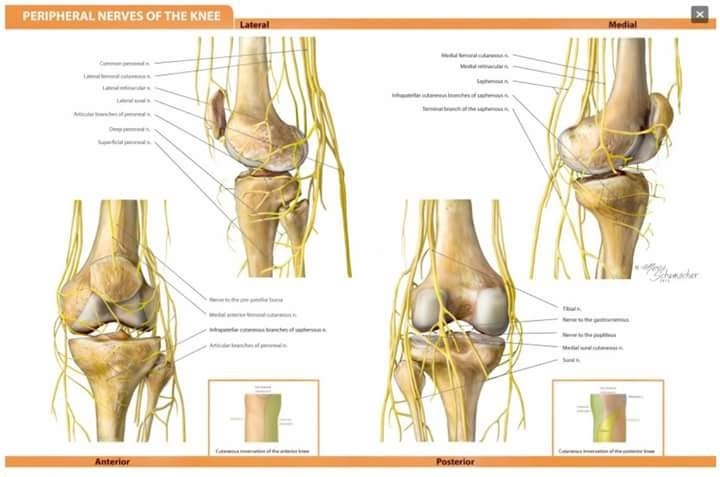 one can effectively relieve pain in the knee from different ethology. 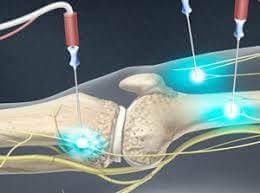 neurotomy is advance procedure,without any attempt to open surgery,through a guided RF canula under local anaesthesia ,without giving any steroid or other injection,that detrimental to our health.without affecting any joint structure,or any side effects.its one of noble approach to relieve your painful knee. While surgery is considered to be the accepted treatment option for patients with advanced joint disease, many individuals have comorbidities that may prevent them from being an appropriate surgical candidate. Others may simply want to avoid surgery, as they may be unable to take off the necessary time from work for the procedure and post-operative recovery period. In these cases, radiofrequency neurotomy of the genicular nerves is a safe, potential alternative to joint replacement for pain. 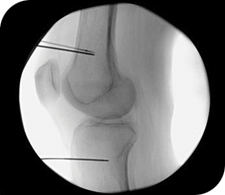 Despite the general efficacy of knee replacements,as every procedure has its own limitations, many patients complain the pain persists even after surgery. In these unfortunate cases, patients have traditionally had few options,either to opt redo surgery or living with pain. if any, that did not involve additional surgery. With the advent of genicular nerve neurtomy, patients can look forward to get pain relief without any replacement surgeries. RFA harnesses the energy of radio waves to treat pain at the source, without the need for incisions of any kind. The most appealing aspect of RFA is that there is no need for steroid or cortisone injections, making it ideal for patients with high blood pressure and Diabetes.any patients who supposed to be fit by your surgeon for surgery,can be consider for procedure. Diagnostic Genicular Nerve Block – This procedure consists of placing a small amount of a local anesthetic, like2% Lidocaine or Bupivacaine, on the genicular nerves to test the patient’s response like sensory or motor and see if there is sufficient enough relief in the knee to justify performing a therapeutic neurotomy.watch for few hours to days . It is a minimally invasive day care procedure, nonsurgical treatment option with the aim to relieve pain where other more conventional therapies like pain killers,accupressure ,massage,steroid injections etc have failed. When we compared to a total knee replacement or any replacement surgical intervention.